Can BRICS create a unified Africa policy? BRICS members compete among themselves on the African continent, but to show leadership to the developing world, they will need to find a way to work together. While Russian authorities have strongly wanted the BRICS group of emerging economies to broaden its role and to include more involvement in geopolitics, foreign policy experts have wondered whether it would even be possible for BRICS members to design and implement a unified development policy in Africa due to competition among themselves on the African continent. BRICS leaders will gather March 26-27 in Durban, South Africa for a forum entitled "BRICS and Africa: Partnership for Development, Integration and Industrialization." Despite the title, the group is expected to use the meeting to discuss financial issues, including a report prepared by working groups led by Brazil on a proposed reserves pool and another by India and South Africa on the creation of an infrastructure bank. "We have a very interesting vision of what can and should be achieved in this relationship," Russia's Deputy Foreign Minister Sergei Ryabkov said in an interview with The Voice of Russia and RT channel ahead of the summit. "Of course there are different approaches. Big powers have big interests and those interests do not necessarily coincide at any moment. But the maturity of the relationship allows us to look into the future with a good degree of assurance that nothing happens that brings this relationship backwards," he added. Ryabkov countered the belief of some Western experts that BRICS is trying to undermine the U.S. and other major global players. "We are talking about multiplying authority and influence, no doubt about it. But this is not to challenge anyone," Ryabkov said, according to the text of the interview published in the Russian press. "This is to further our own interests and to ensure that our ability to achieve these goals is growing and is implemented in practical action." Ryabkov's position reiterated statements made earlier by President Vladimir Putin in an interview posted at the Kremlin website and also by Special Presidential Envoy to African countries and Chairman of the Senate Committee on Foreign Affairs, Mikhail Margelov, in article published in Nezavisimaya Gazeta. Yet many local African experts have expressed mixed views about Russia's policies and prospects in the region. Jimmy Saruchera, Director of Schmooze FM (Frontier Markets), an investment fund that works to support small-and-medium sized businesses in new emerging markets, said that for Russia, using the BRICS platform for advancing an African policy agenda and as leverage to penetrate African countries is partially impossible under the circumstances, and a better strategy would be to engage African countries directly, focusing on building positive, genuine relationships based on mutual progress. 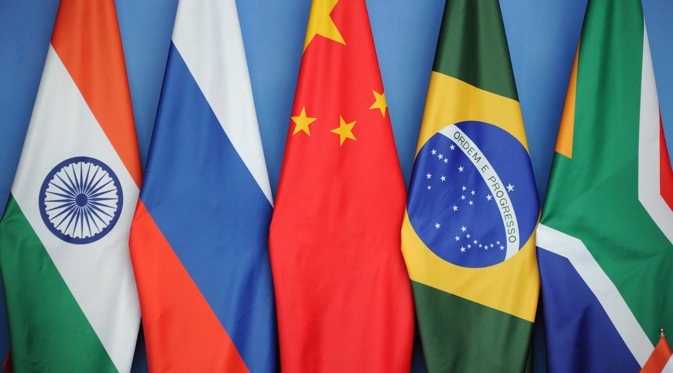 John Mashaka, a financial analyst at the Wells Fargo Capital Markets in the U.S., argues that although the BRICS countries could form a formidable economic alliance to counter the U.S. and EU influence in Africa, such an alliance is unlikely at the moment. "There is no way China and India can work together. Each wants to be the next big boy on the block," said Mashaka. "Russia on the other hand is striving to assert itself as the new superpower, and that is a problem." According to Francis Kornegay, a Senior Fellow for Emerging Powers Research Program at the Institute for Global Dialogue in Pretoria, South Africa, there is hope to be found in a statement that came out of the 5th BRICS academic forum in Durban. This statement called for deeper cooperation between the African Union and BRICS. It was inspired by a recommendation that there be set up an AU/NEPAD-BRICS cooperation forum. He pointed out that "deeper cooperation" would not only mean between the BRICS countries but more importantly between African countries (especially key states) in navigating synergy between the different BRICS country agendas to benefit Africa's interests and priorities rather than Africa simply reacting. "So yes, if this could happen (not that it will), you would have your 'counterweight' to the United States and European Union. But the 'zero sum' implications in terms of the way the question is put assumes a level of polarization that doesn't really conform to reality since there are already 'third country' development cooperation initiatives on the continent involving BRICS countries and G7 states. So reality is a bit more complicated," Kornegay said via e-mail. In an exclusive interview, Siphamandla Zondi, Director of Institute for Global Dialogue at the University of South Africa, said the expectation that BRICS should become a sort of a counterweight to the Euro-American center of global power is an understandable part of the wish for a better balanced, fair and just global order and that the term "counterweight," should not have a negative connection since it is about developing countries having a corrective effect on global economic arrangements. "As the BRICS move quickly to establish a development bank that would ensure that development finance needed in developing countries does not run dry completely, they are displaying global responsibility for common good," said Zondi. "Of course, this counterweight is read in negative terms by the North-Atlantic zone and many of its followers, fearing that the political and cultural hegemony that has come with their economic success may be diluted or weakened by this emerging pluralism," he added. As to the specific question of whether BRICS can put aside their differences to create a unified policy of Africa, Zondi was more optimistic. "The best examples and most effective clubs that we have seen including the Paris Club, the London Club, the G7 and the G8," Zondi said. "They have a lot of competition and differences among constituent members. What has made them effective is that they bring to the club issues about which there is broad convergence of visions and interests." "The same can be said about the BRICS," he added. "Member states bring into the body issues like global reform, integration of currency markets, cooperation for industrialization, stronger international economic cooperation and now cooperation with Africa."